Welcome to the September 2013 edition of the GMT P500 update list. The purpose of this list is to showcase all the new games coming through the GMT P500 system. I appears I'm acting as Guest Editor/Impostor for this month's list, which would have been Roger's 50th effort in the matter. Talk about stealing the man's thunder! A stupefying 209 (+8) of you now own this quirky microbadge, and I'm sure Roger thinks the world of you. Still plenty available for sale. The man likes to proclaim he'll do something special when the number of owners rises to 500, but I wouldn't put too much stock in that. Still... why not find out what happens? Grab one now! Thank you for thumbing this list when you come by! Thanks to everyone for their continued kinds words of support. If you do have any comments or suggestions, please do send us a geekmail message or post in the comments section. Now, without furhter ado... the list! Current Printing Schedule, from the August 30th update. Game Information: Rising Glory is the fourth game we are producing as part of our strategic friendship/partnership with Victory Point Games, and the 2nd from their Napoleonic 20 series (Fading Glory was our first). The idea for this and future volumes is that we will take multiple existing games from the VPG Napeoleonic 20 series, add an as-yet-unpublished game to the mix, and create a GMT boxed game with 3-4 games in the box, using larger (3/4") counters and mounted maps. The Napoleonic 20 series from Victory Point Games are lower complexity wargames which use a common system originally created by veteran designer Joe Miranda, and further refined by developers Alan Emrich and Lance McMillan. The system’s name is derived from the fact that there are generally just 20 or fewer pieces in play on the map at one time (that's 20 pieces total, for both sides). The system is easy to learn and fast-playing, creating a tense, dramatic and challenging situation on the game board where higher echelon troop formations (generally corps) vie for position and dominance. The series features twelve pages of Standard rules, four pages of Optional rules, and one-to-two pages of Exclusive rules for each title. Comments: This is coming out in issue #8 of the UGG house mag, Command & Strategy. Game Information: Fortress Sevastopol is a simulation of the German assault on the Crimean Peninsula. The Germans had to advance to Sevastopol as quickly as possible. Eventually the mighty fortress will have to surrender before the snow falls, which would be a great pleasure for the "Führer". If not, you will have to wait until spring to receive more reserves and finally capture Sevastopol before the game ends. Fortress Sevastopol uses an easy to learn area movement and combat system. A similar system was already used in games like Breakout Normandy, Monty's Gamble - Market Garden, and Storm Over Arhhem. Fortress Sevastopol is Issue #8 in UGG's Command & Strategy magazine series. Comments: At least it's pulled out of its dive. Game Information: Title Chase Basketball is a fast-paced game nominally about professional basketball. The game focuses on team building, getting into the playoffs and winning it all. Title Chase Basketball should not be confused with a simulation. It is a game meant to pit players against each other and as such can be completed from the start of the season to game seven of the finals in about an hour. The first half of the game is a card-driven game where you build up your team by improving positions, winning key games and gain ground in the standings. You will need to decide what teams surge ahead and which ones will fall by the wayside. Do you build a team of all-stars quickly and have a giant bulls-eye placed on their back for the other players to shoot at. Do you turn your team of journeymen into a solid-all around squad. Or maybe you want those one or two superstars that can guarantee you a deep run into the playoffs. The way that you build your team is up to you. At the end of the regular season, the game switches to a full-on dice game using the teams you created during the regular season. Teams match up in best of 7 series where your dice are the ones you labored to improve earlier. As your dice are expended in each series, the games get closer and closer and often it comes down to one final toss of the die. Comments: Still climging like a meteor. Game Information: The Eagle of Lille expansion to Bloody April (Air War over Arras France 1917) expands the air war to follow the career of Immelmann and some of the other early aces such as Oswald Boelcke and Lanoe Hawker. Seven new scenarios cover the period from August 1915 to early 1917 while including tables which randomize taskings and add replayability to the scenarios. 14 new Aircraft Data Cards are in this expansion. They include German single seat scout aeroplanes; Fokker Eindecker E.1, Eindecker E.II/E.III and Fokker D.III. German two-seater aeroplanes; Albatros C.I / C.III and LVG C.II as well as flying battle plane the AEG G.II with a crew of four. The British get a bevy of new aeroplanes; Bristol Scout C, B.E.12, RE.7 and Vickers FB5 Gun Bus as well as French made Morane-Saulnier N, L and BB. Comments: We REALLY need some info on this one. Like, yesterday. Game Information: Medieval Conspiracy introduces players to the Holy Roman Empire of Germany. That Empire is divided into numberless small earldoms, principalities, and bishoprics. 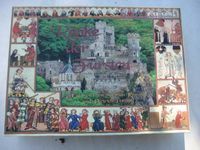 The Ruler of the Empire is the Holy Roman Emperor who is elected by the 7 electoral princes. Comments: Third rising star this month! 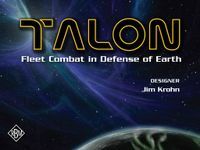 Game Information: Talon is a tactical game of space fleet combat between the Terran Confederation and the invading Talonthincanthanadu (Talon) Empire. Comments: Down again by one. Game Information: Before the award-winning World War I designs Paths of Glory and The Great War In Europe, Deluxe Edition, designer Ted S. Raicer had revived interest in gaming the Great War with a series of WWI campaign games for the late lamented Command magazine. GMT is proud to present a set of revised boxed editions of these classic “players-games”. Comments: Not moving from its plateau. 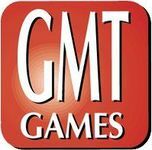 Game Information: Fury, GMT’s new game of fantasy warfare, brings the Manoeuvre game system to the lands of the West. Knights and Orcs fight against Dragons and Dwarves to decide the outcome of the 2nd War of the West. Fury takes the bones of Manoeuvre and builds a game that has more of everything you like in the original. More and varied types of movement such as flight and teleportation, more combats in a turn each with their own deadly styles, and devastating spells that can turn the tides of war in your favor. Your ability to control the Fury of the battlefield will determine your fate. Comments: Slow but steady growth. Winner of the Charles S. Roberts award for best pre-WWII boardgame, When Eagles Fight covers the eastern front in World War I, the last war of Tsarist Russia, Habsburg Austria, and Imperial Germany. From 1914 to 1917 the armies of the Tsar battled from the Carpathians to the Baltic against the outnumbered but logistically superior German army and the badly-led multi-ethnic forces of Austria-Hungary (the Central Powers). Though repeatedly inflicting massive defeats on the Habsburg armies, the Russians were ultimately undone by the skill and firepower of the German army and the collapsing political structure of the Tsarist autocracy. By March 1917 the 300 year-old Romanov dynasty was no more, and the stage was set for the coming of Lenin and the Bolsheviks. But the empire of the Habsburgs was left mortally wounded, and the Kaiser’s Germany would meet its own doom less than two years later on the battlefields of the western front. Comments: Last month was in the red; we need to move forward on this! Comments: I have yet to see a title that'll compel me to give the system a spin. Maybe the next Next War will do me in. Game Information: Over sixty years later, and the divisions still run deeper than the straits which separate the Republic of China from the People's Republic of China. Once again, a historically, ethnically, and culturally homogeneous people separated by politics and economics hurl men, weapons, and material into the maelstrom of modern combat in an attempt to settle their bitter division once and for all. Comments: At this rate, it'll take Wellington two more years to get to India. Game Information: Wellington in India (WIN) is GMT’s first game in its Great Battles in Asian History, a series emphasizing easy, quick play that focuses on the unusual features of this area of history virtually untouched by the hobby but truly rich in gameplayer goodies. WIN simulates the battles of the 2nd Anglo-Mahratta War in India (1803), in which Major General, The Honorable Arthur Wellesley (later the Duke of Wellington) had field command in the Deccan (the center of the subcontinent) against the huge forces of the Mahrattas, the largest independent empire in India, under the Scindia rulers of Gwalior and the Bhonsle rulers of Nagpur and Berar, complete with the a massive artillery corps, plus the equally important battles in the northern, Hindustan where the troops of the East India Company were under the oft-unappreciated General Lake; all of which was part of the almost subconscious, ongoing efforts of the British, in the guise of their East India Company, to gobble up an entire continent and civilization. Much of the game system will be familiar to any wargamer. There is no set number of turns, and this is not Igo-Hugo gaming. Variable activation of commands, based on leadershipo quality, is the baseline. The usual fire/move then shock mechanics are all there, and we hope to eventually use this basic system to simplify our Great Battles of the Civil War battles. Comments: Nice surge this month! Reminds me that I should play the base game more. Game Information: It is Spring 1940, and both the British and the Germans have plans to invade neutral Norway. The British still have the French on their side, while the German Kriegsmarine will never be larger. Who will strike first? 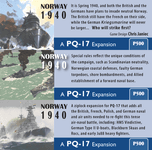 Norway 1940 is a ziplock expansion for PQ-17 that adds all the British, French, Polish, and German naval and air units needed to re-fight this tense air-naval battle, including such seldom-seen ships and aircraft as the repair ship HMS Vindictive, German Type II U-boats, Blackburn Skuas and Rocs, and early Ju88 heavy fighters. Special rules reflect the unique conditions of the campaign, such as Scandinavian neutrality, Norwegian coastal defenses, faulty German torpedoes, shore bombardments, and Allied establishment of a forward naval base (historically in the Lofotens). And just as in the parent game, secretly determined special conditions offer new opportunities and threats to both sides. Will the British pre-empt the German invasion? Will the Germans attempt to break out into the Atlantic with their heavy ships? Will the Allies elect to stay in Narvik instead of evacuating with the fall of France imminent? Or will the Germans make a daring attempt to seize Iceland before the Allies can occupy it in force? Comments: This is one of my most anticipated games on the whole list. Game Information: In Enemy Coast Ahead: The Dambuster Raid, you command a newly formed squadron assigned the task of breaching the dams in the Ruhr Valley. Not only are you presented with a variety of decisions, you play the invisible hand of fate as your crews endure the hazards of a dangerous night raid. Play the campaign and you get to organize and train the squadron, or play the historical scenarios. Game Information: Triumph and Tragedy is a geopolitical strategy game for 3 players (also playable by 2) covering the competition for European supremacy during the period 1935-45 between Capitalism (the West), Communism (the Soviet Union) and Fascism (the Axis). It has diplomatic, economic, technological and military components, and can be won by gaining economic hegemony or technological supremacy (A-bomb), or by vanquishing a rival militarily. Comments: I love the FAB system and I was born in '73. Seems like a match made in heaven. Game Information: Michael Gustavsson teams up with Fast Action Battles (FAB) series designer Rick Young to jointly bring you volume III in the FAB game series. These two designers take you to the Golan Heights on October 6, 1973, where during the holiday of Yom Kippur, the silence on the Heights was disrupted by the thunder of tanks, guns, and aircraft when a Syrian assault was launched. The Syrian operation, code-named as Badr, was aimed to retake the Israeli-occupied Golan Heights, which the Syrians lost in the 1967 Six-day war. Comments: A little more traction than last month. Game Information: Genesis is a campaign-level game covering the turbulent Late Bronze Age in the Middle East, where kingdoms rose and fell while establishing many of the systems and ways of life that underwrite Western Civilization. Much like its ancestor game, Pax Romana, Genesis is a game that provides the players with the historical dramatis personae and allows them to forge their own empires. It also has a great emphasis on the control of the important trade routes and commercial centers and the building of the spectacular monuments these civilizations left for posterity and wonder. Comments: In a holding pattern. Game Information: Manoeuvre: Distant Lands is an expansion for Manoeuvre. Four new armies are included to allow you to bring the fight from the frozen north to the sub-continent and the mythic east. 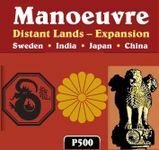 Included in this set are counters and cards for Sweden, the splintered Kingdoms of India, the Chinese 8-Banner Army and the crumbling remains of the Japanese Shogunate. Also included is a set of 8 new land tiles that will force veteran players to learn new tactics among the swamps and fields of the Orient as well as the forests of Scandanavia. Comments: Last month (at +3), this was Roger's comment: "It would be awesome to see the numbers zoom up a bit faster." So whom did the man bribe? Game Information: Thunder Alley is a stock car racing game for 2-7 players with the feel and flexibility of a card-driven simulation. Players controls not one car, but a team of 3-6 cars. Each race is not only a run for the checkered flag but an effort to maximize the score for every car on your team. Winning is important but if you race one car to the finish line, your team might end up outside of the winner’s circle looking in. Comments: Very nice growth this month. Game Information: At the turn of the 18th Century, Tsar Peter Veliky ("the Great") had a dream. This was for Imperial Russia to have a fleet vast and powerful enough to control its local waterways and to extend Russian trade to the world. Peter travelled widely throughout Europe, learning the trade of ship building from the western masters, and brought this knowledge home. Sadly, he would never see the result of his labors. But, by the time of his death in 1725, the seed of a powerful armada had been sown. Under a flag bearing the cross of Saint Andrew (a blue cross on a white background), the Imperial Russian Navy grew to become the masters of the Baltic, Black and eastern Mediterranean seas. Comments: This one is making the cut before Christmas. Game Information: 1914, Serbien muß sterbien, The Initial Campaigns on the Balkan Front in WWI realistically covers the battles fought in and around Serbia during the first year of World War One. Comments: After making the cut last month, it's gaining speed! Game Information: Unconditional Surrender! is a strategic level game covering the World War II European Theater. Players make the political decisions and control the military forces of the Axis, Western, and Soviet factions which fought for European dominance and survival. Current Status: Made the Cut! Comments: Man it got there fast. First rising star this month! Game Information: Hoplite, the 15th volume in the Great Battles of History series of games, allows players to recreate classic battles from the pre-Alexandrian Persian-Hellenistic Age, the heyday of the Hoplite (heavy infantry fighting in packed formation). This period is often considered to feature the birth of Western Warfare, as opposed to the Persian/Eastern style, which relied on archery , light cavalry, and mobility. Comments: Picking up speed again. Game Information: This expansion set includes the most significant US and British forces that saw action on the Western front in 1944 up until the end of the war in 1945. Also included are the German units that fought against their relentless advances from Normandy, across Italy, breaching the Siegfried Line, and finally pushing in to the German Fatherland. Its playbook includes rules for special units, new optional rules, 10 gripping scenarios, and unit summaries for the US, British and German units. Ownership of Expansions 1 & 2 is not required to field the German forces, they are all included here. However, this expands on those German units included in the first two expansions – no unit IDs are duplicated. Combine the German units from all three expansions to create customized scenarios on either the Western or Eastern Front. Its TO&Es booklet includes details for the US, British and German forces covering the period from 1944 through 1945, including the US heavy and light armored divisions, British armored divisions, in both Western Europe and Italian configurations, and infantry and airborne divisions. German forces include Panzer Lehr, the 101st SS Heavy Tank Battalion (Michael Wittmann commanded its second company), and two independent Panzer Brigades. Finally, this expansion includes the next 4 double-sided geomorphic mapboards, modeling the terrain found in the close confines of the French boscage country and many other features as the Allied forces push into the heart of Germany. Add these 4 geomorphic mapboards to the 6 geomorphic mapboards from expansions 1 & 2 for added play and many possible battle combinations.